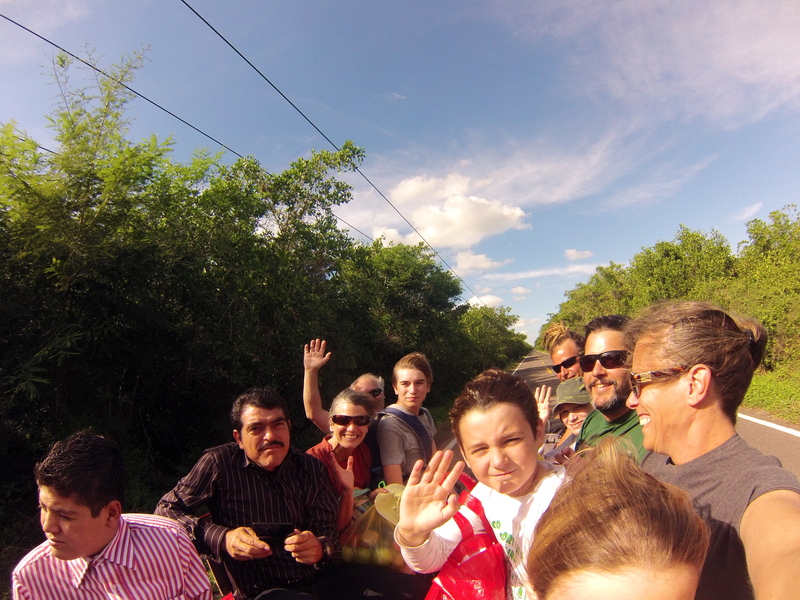 We had a jam packed week moving from the Baja peninsula across the Sea of Cortez to Mexico’s mainland. We started with a quick 11NM sail from La Paz to Espíritu Santo, a beautiful 7.75 mile long island full of marine life and quiet coves. Because it is part of the national marine park system, the island is protected and uninhabited by humans apart from a handful of fishermen. 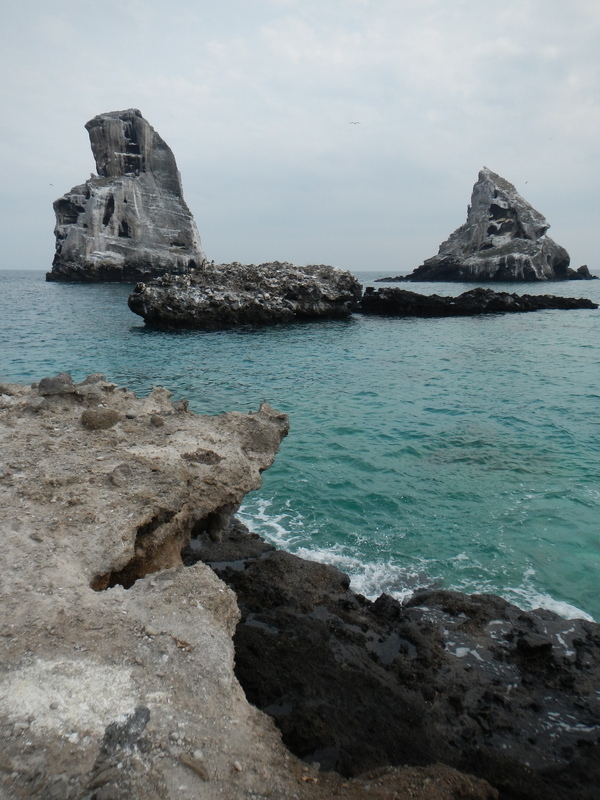 We’d stopped here in Partida Cove on our way to La Paz and wanted to return to check out another one of the quiet coves. Our friends on “Celebration” were the only other boat in Raza Cove which made for a perfectly peaceful evening and lovely way to say, “hasta luego” to Richard and Audrey. We look forward to seeing them again later in our travels. Sidebar: Our first time to Espíritu Santo; was with our first “hitchhiker”. What the what, you ask???!!! Yes, I felt the same way. 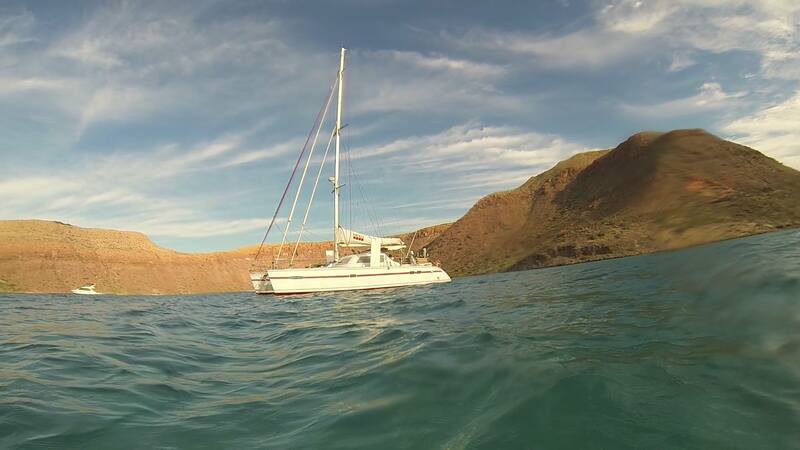 When we were anchored in Muertos Cove on our way to La Paz, Peter took Lucy ashore to get some land time. On the beach Peter met Alex, a young Canadian traveling around Baja on foot after his mountain bike suffered repeated flats from the tough terrain. 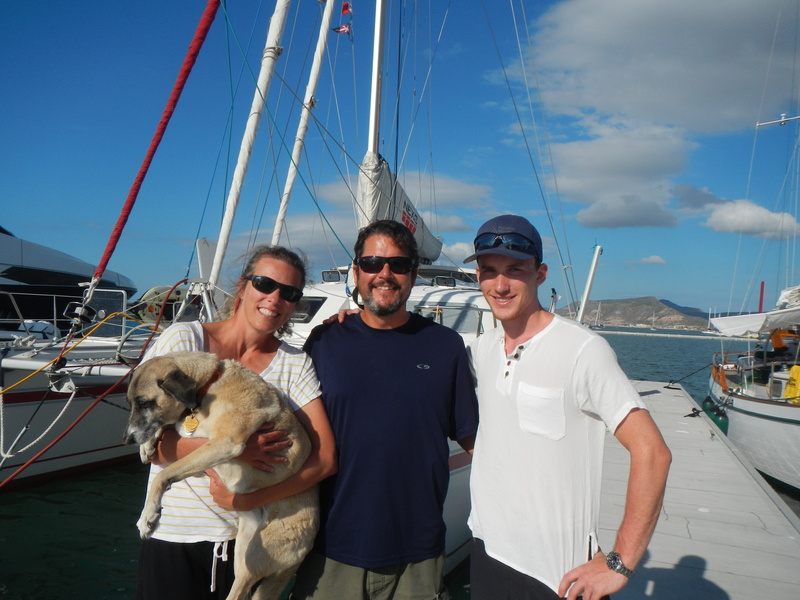 Peter radioed me to say that he had invited Alex to travel on our boat back to La Paz. I of course thought this was nuts and we would be killed in our sleep, tossed overboard and the latest sensationalized murder story to fill up the cable news shows. But the moment Alex stepped aboard I could tell all would be fine (isnt’ that how all those stories begin LOL). He had never been on a sailboat, but immediately jumped in to help, learn and could not have been a nicer guy. He wanted to see wild Espíritu, so we stopped there one night before dropping him off in La Paz. Oh Canada, you raised him well. So back to Espíritu part two, you could spend a week+ here exploring all the coves, but after only one night, the positive weather report was the ticket for us to start the 300 NM crossing of the Sea of Cortez from Baja to the mainland. The winds the first day were perfect for sailing and we buzzed along day and night. The second day, the winds died down, so we had to do some motoring. Luckily there was a full moon, making it much easier to spot the odd boat and sea turtle swimming by on night watches. We do 3 hour watches, which means I am on duty for 3 hours while Peter naps and then we switch off and I try to get a little shuteye. After 2 days of this your sleep pattern is off and you catch zzzzs whenever. After 50 hours of sailing, we were thrilled to see the stunning island of Isla Isabel and happily dropped our anchor behind the picturesque Las Monas rocks. Soon after we were hailed on the radio by “Heavy Metal”, another sailboat nearby inviting us over for sunset cocktails. Peter, Lucy & I dinked over and met Rigo and Deborah who were our link to meeting several other boats who welcomed us into their band of merry pirates. 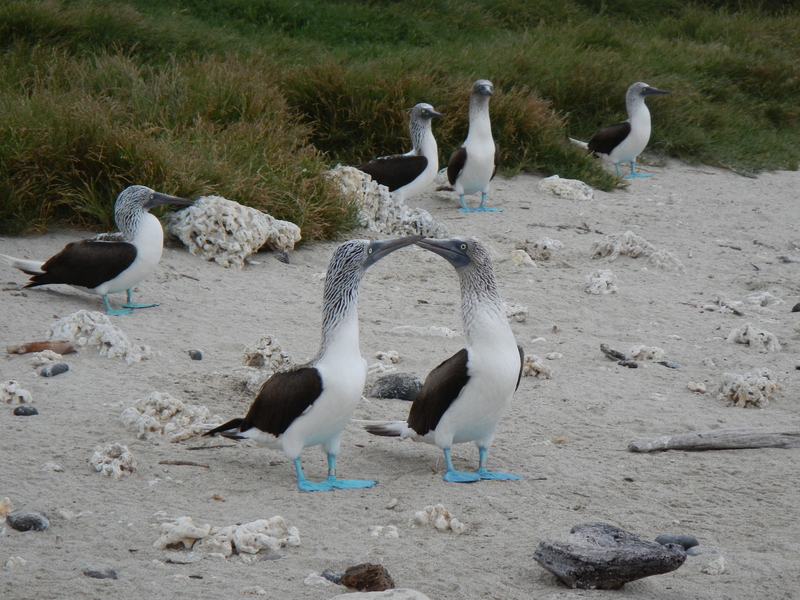 Isla Isabel was the perfect place to catch up on some sleep, chill out, snorkel and see something I haven’t seen before – blue footed boobies. I’m not much of a birder, but these little guys were so comical I couldn’t help but laugh. And yes, they really do have bright blue blue feet. Matanchén, was our next stop and first official mainland port. We traveled the 42NM within the small fleet of boats we met in Isabel and spent the next few days getting to know them and exploring the area. 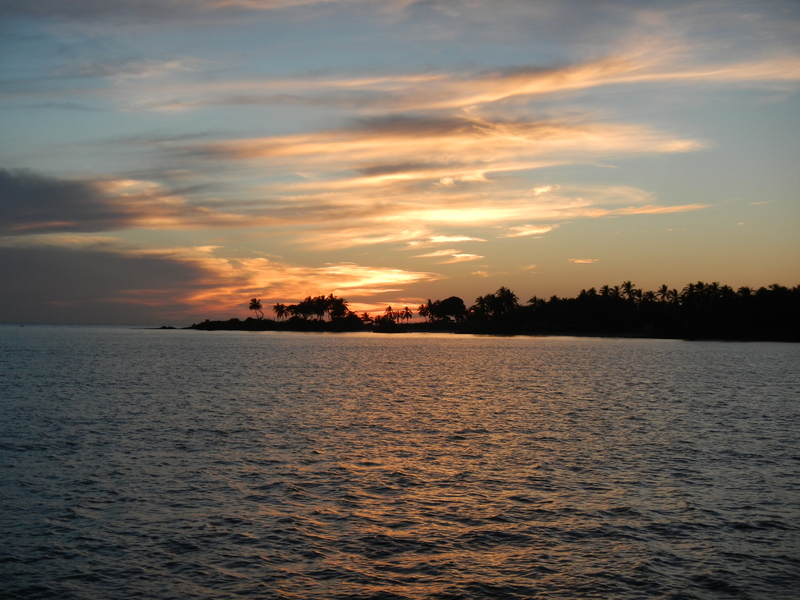 Matanchén is a large shallow bay perfect for easy anchoring and dinghy landings on the beach. The only downside is the infamous Jejenes (“hay-hay-nays”) which are tiny no-see-ums that inhabit the beaches especially at dusk and really throw a wrench into sunset happy hours. The restaurants burn coconut husks and the smoke somewhat helps to keep them away, but those annoying little bastards loved me and almost a week later my legs still look like I have a case of the chicken pox. Oh, the price we pay for living the life of leisure. 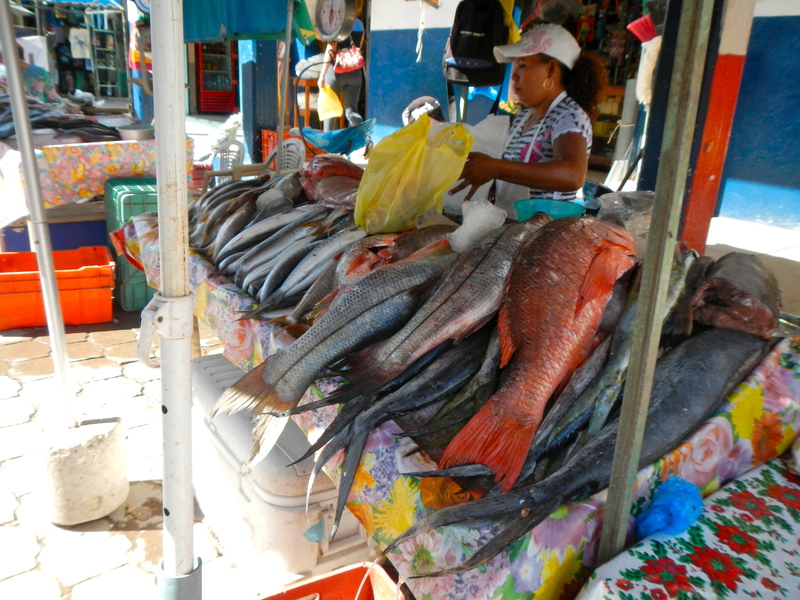 Matanchén is just a short drive away from San Blas, a charming little fishing town of Longfellow’s famed poem “The Bells of San Blas” (never say I didn’t teach you anything in this blog). 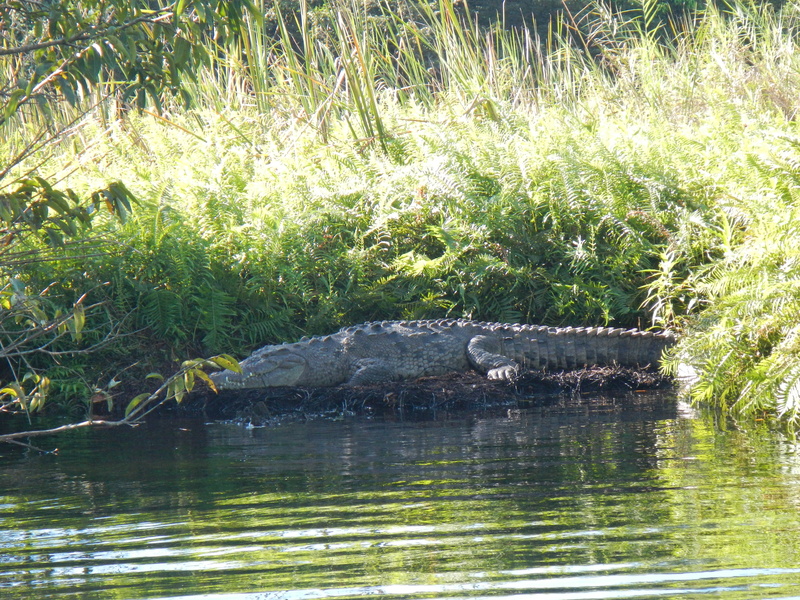 Luckily the fleet of boats we met back in Isabel had given us the inside scoop on taking the early morning panga tour through the mangroves for first crack at seeing the wildlife. And we joined the crews from “Heavy Metal”, “Destiny”, “Sand Dollar”, “Cat2Fold” and “Ayla May” for a jungle tour. 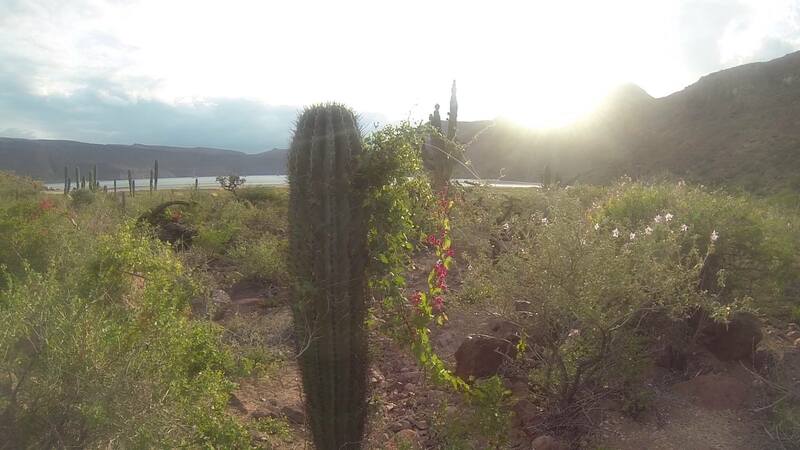 This entry was posted in 1st Season, Adventure, land trip, Mexico by Mary. Bookmark the permalink. Love hearing about your adventures!! We’ll be in nj for 3 weeks (if I’m lucky!) in the summer…..end of July and early August. Hope to see you then!